Created at the end of the Nineties by Idelette and Philippe Arché, Le Bel Aujourd’hui is an artisan’s workshop that creates, manufactures and distributes interior perfumes and natural cosmetics. Situated in Ardèche, the company is faithful to the values of its founders, who have faithfully recreated their childhood memories, with their perfumes, flavours and colours, in their range of products that currently consists of 50 original fragrances. “Le Bel Aujourd’hui” is inspired by the first verse of one of Mallarmé’s sonnets and was also the name given to the family home, located in Saint-Georges-les-Bains, on the doorstep to Provence, where flowers and fruit come together : peaches, figs, apricots, cherries, prunes... broom, mimosas, jasmine, dog-rose, without forgetting blueberry, blackcurrant, lavender, verbena, mint... and yet others. 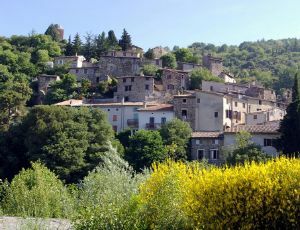 The workshop is located at the foot of old Beauchastel, a registered village on the banks of the Eyrieux. Le Bel Aujourd’hui is born of this iversity, of this profusion of flowers and the rural atmosphere of the high plateaus. In this land of weavers, who raised silkworms, our creations are clothed in cotton, linen or tarlatan by our eamstresses before leaving the workshop. This offers our clients a subtle marriage of tradition and modernity.